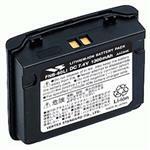 Home > Battery Eliminators > Yaesu & Vertex Standard > CBE-80 : Battery Eliminator for Vertex-Standard & Yaesu VX-5R, VX-6R, VX-7R, VXA-700, VXA-710, Standard Horizon, etc. The CBE-80 is a Battery Eliminator for Vertex-Standard/Yaesu radios such as VX-7R/Rb, VX-6R, VX-5R/Rs; VXA-700, VXA-710 ("Spirit"), FTA-720, and STANDARD HORIZON HX-471 VHF & HX-471S TRI-BAND. 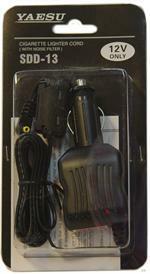 One end plugs into a 12-13.8VDC cigarette lighter/DC socket; middle section is coiled cord; other end clips onto radio (it takes the place of the battery). 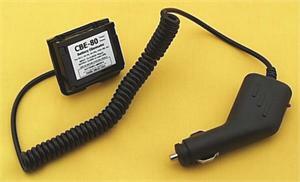 The CBE-80 has built-in voltage regulation, current limiting, and noise filtering circuitry. Allows mobile Hi-Watt TX operation.